It is time for Dewey's Readathon again which is the only time I use this dusty, dusty blog. I keep thinking that I should blog properly but I haven't yet so I am probably not going too. I am very glad that it is almost Readathon time because I am miserably sick right now and I welcome the distraction of being able to stay home and read all day. I will also nap because I am very tired but at least now I get to get rid of the guilt that I should be doing something else tomorrow. All of this brings me to My Stack. 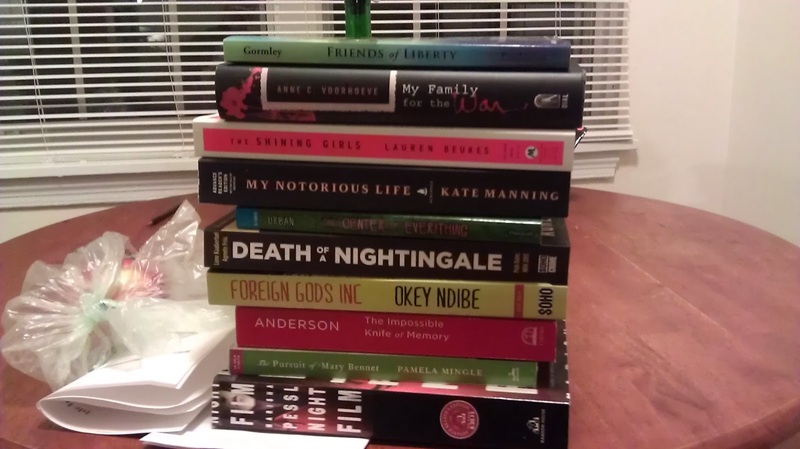 Well earlier this year I went to ALA (I am a librarian or at least I have an MLIS) and I got a lot of books and ARCs. I have read a few of them but not all of them. Plus I tend to accumulate books that I think I should read. Except those tend to be fat, dense, non-fiction hardbacks and those are depressing to try and read during a readathon. I know from past experience that it is important for me to have a wide variety of books to choose from. 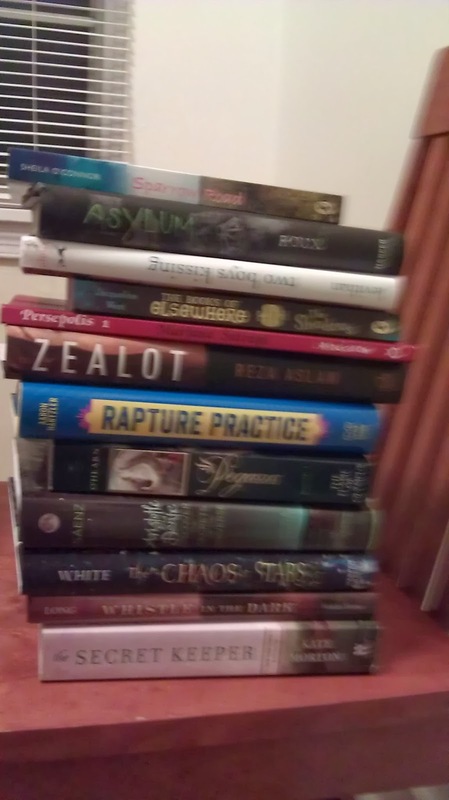 The ALA ARCs and one non-ARC that I keep meaning to read. Yes some of these have been published as books since then. Aristotle and Dante Discover the Secrets of the Universe - Benjamin Alire Sàenz - just realized this is an ALA book too. Oh well. Oh and that does not include the e-books of which there are many. Or the book I am reading because I agreed to review it for a newsletter. Note to self: do not agree to review books because you are bad at it. My name is Gabby and I am a book-aholic. The Readathon feeds my addiction.